When we hear about high-end drug rehabilitation facilities, many of us assume that paying high prices for treatment means a higher quality of care. However, even the most expensive, high-end facilities can pose dangers for our loved ones when they’re in need of proper treatment for drug and alcohol addiction. To be sure, abuse and preventable injuries occur with surprising frequency at high-end drug rehab centers. Are high-end drug rehabilitation facilities really places where patient safety is a serious issue? Unfortunately, abuse can occur anywhere, and patient injuries and deaths can result. In some cases, employees at these kinds of facilities commit sexual abuse and violence against patients. In other cases, there’s just a poor quality of care, and preventable injuries happen. The first victim, a 52-year-old woman seeking treatment at the facility, Jean Galletta, threatened to “go upstairs, take a bath, and drown myself.” The caretakers at the One80 facility didn’t believe her. Moments later, staff members found the victim in her bathtub. They “placed a bag valve mask over her face and furiously worked an automatic external defibrillator” in an “unsuccessful attempt to revive her.” At her time of death, Galletta’s blood alcohol content was listed at 0.24, which is “enough to lose consciousness.” Following her death, many clients and patient advocates suspected that Galletta’s death had been preventable, as it resulted from improper care at One80. Less than a year prior, One80 lost another client under questionable circumstances. 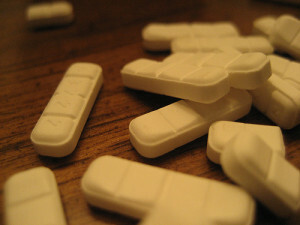 In August 2011, a 22-year-old overdosed on Oxycontin. The victim, Andrew Witkoff, had been the son of a “Manhattan real estate titan.” He smuggled the drugs into his bedroom, a “sober-living sanctum.” Similar to Galletta’s death, commentators believe Witkoff’s death was the result of improper care at the rehabilitation facility. According to the story in the Hollywood Reporter, clients come to high-end rehabilitation facilities when they’re at their most vulnerable—they’re in “perilous physical and mental health.” And because these facilities often give “special privileges” to the wealthiest of Americans in need of drug or alcohol rehabilitation, those clients often don’t end up getting the level of care they actually need. For clients like Witkoff and Galletta, facilities such as the One80 can charge about $90,000 per month for treatment. But that price doesn’t mean that patients are receiving proper care. For example, staff members at some of these high-end facilities have come forward shedding light on realities at the facilities. They’ve emphasized that many clients actually need psychiatric treatment at specialized facilities, yet the owners of luxury rehabilitation clinics such as One80 opt to encourage the expensive monthly payments from these clients instead. Has your loved one sustained injuries at a high-end drug rehabilitation facility? It’s important to discuss your case with an experienced San Diego personal injury attorney. Whether your serious injuries resulted from poor care or an intentional act, we can help you to seek compensation. Contact us today to learn more.